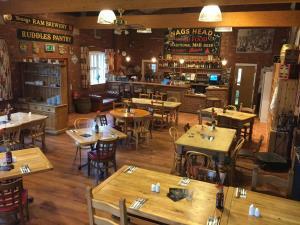 Belvoir Alehouse01664 823455workRestaurant - PubOur food is produced to the highest quality, using only the finest of ingredients sourced from local suppliers. Please take time to browse the menus and feel free to ask a member of the staff if you would like any item in the dishes to be omitted, or added, to your personal taste as in most instances, where possible we will gladly oblige. All meals are freshly cooked to your order therefore please be patient and have a drink while you are waiting, we are sure it will be worth the wait. All our meals are prepared by Roger Thornton our award winning chef. The Old Dalby business park is 1.2 miles from the A606 and close to the village of Old Dalby and Melton Mowbray via Nottingham Road. It is located between Leicester, Nottingham, Loughborough and Melton Mowbray and positioned centrally within the UK.